Hi. I’m an INFJ… and I’m complex. A lot of folk can claim to be complex but if you meet someone with a fun personality and a sad soul in one package, chances are you’re talking with an INFJ. 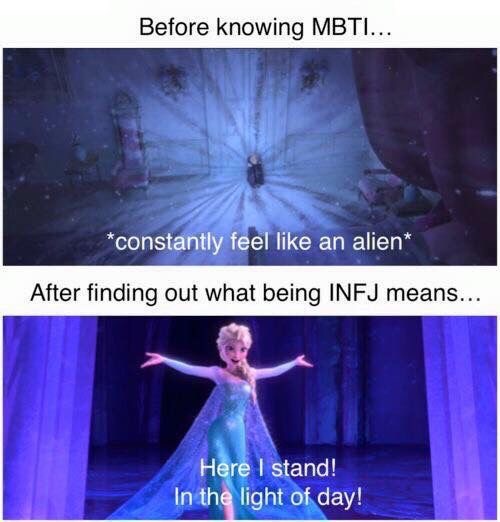 Our confused souls often leave us feeling at odds with our own complexity and until we first learn about the Myers Briggs Types and the magic that is those four little letters, INFJ, we often think we suffer from a mental health illness or else something else is severely wrong with us. It’s the crazy, constant whirling of our minds that make us so complex. 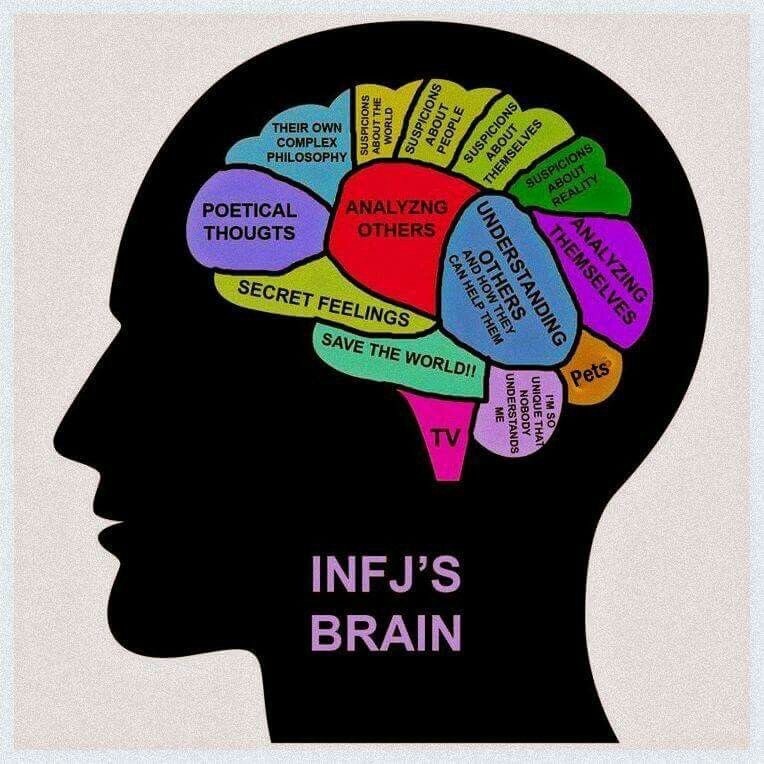 The perpetual motion machine that is an INFJ brain is more often than not matched by a swirling emotional soup and staunch set of values and ethics that are inflexible and cannot – must not – be breached. If you know an INFJ and think it’s difficult living with their complexity and unpredictability, spare a thought for the poor devil who lives inside that mind. It’s a difficult place, sometimes scary, sometimes beautiful, but always overwhelming. So please, if your local INFJ sometimes seems scattered and at other times is focused like an arrow, understand it’s not her fault. It’s the voices in her brain. * If you’d like to know more about the Myers Briggs Types or perhaps find out which Type you are, follow this link. ** For more of my INFJ Problems series follow this link. Posted on June 27, 2017 June 15, 2017 by Jessica BakkersPosted in All about INFJsTagged All about INFJs, anxiety and depression, blog writers, depression, Humour, INFJ, Inspiration, Introvert, WordPress, Writing. I’m INFJ-T leaving me confused about myself too. “spare a thought for the poor devil who lives inside that mind”, that really made me laugh. This is such a wonderfully honest affirmation. Part of me wonders (shocking I know) if the complex challenge creative arts attracts the complex mind of an INFJ. Reminds me of a scene from Sherlock, where he compares his mind to a rocket trapped on the platform, tearing itself apart because it has nothing to “do”, no puzzle to solve. I think this in many ways is the power of the written word. People read a piece of text by someone they’ve never met, and suddenly they understand themselves in a whole new light. Everyone at my workplace is taking this now 😛 I am an INFP and in the description they actually used a Shakespeare quote that hangs above my bed so I was like… yep on that one. Oh, my gosh. That brain graphic is hilarious… because it’s so true! (And I love that “pets” is one of the categories.) I think I might have even more little chunks in my head, but that’s the gist. Great post! Alien into princess. I like that. Hope you’re feeling better, Jess. INFP, but I can relate to a good bit of it!